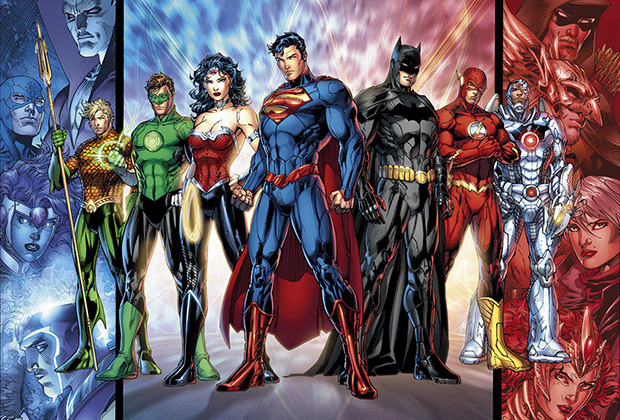 The risky strategy of restarting their entire comic book line paid off for DC Comics, which had the top-selling comics of 2011. We talked with copublishers Jim Lee and Dan DiDio about what inspired the relaunch–and what challenges the creators had to heroically overcome to get it off the ground. Fast Company: Why was the decision made to reboot the entire comic line? Jim Lee: A year ago right after New York Comic Con we had a gathering of all our top creators and we talked about what defines the DC Universe, what makes it special, how do we keep it relevant and interesting. Out of that discussion we started talking about some key characters, specifically Superman, ways to revitalize that character, and we identified some key elements of the DC universe that could use some updating. And out of that came this crazy idea of what if we did it across the entire line, and more importantly, what if we renumbered everything to really signal to readers and lapsed readers that we are doing something very significant. The desire was to get people talking about comics, specifically our books, get them excited about our characters, and really set the table for future decades of storytelling. Dan DiDio: And I think also the other thing that was important was we were trying to expand our reach. One of the things we did is we went same day digital with all of our product because we felt that we were trying to reach a new audience, new styles of readers, so this allowed us to really try to get as broad an audience as possible. We have a very strong direct market, we have material in bookstores across the country, but the thing for us too is that we wanted to reach out in the digital form and see if we can attract new people that way too. Was there one thing or one moment that made you say we need to reinvent ourselves? DiDio: I’ve been using the expression “death by a thousand cuts.” There are a lot of things that we could have been doing better across the line: We could have been writing better, we could have been drawing better, we could have been editing better, we could have been marketing better. By doing the relaunch it allowed us to examine every aspect of our business and look at it from a point of view of if we were building a business today, how would we build it? How would we create characters? What types of stories would we tell? How would the world feel? And we changed the interior look of our books and we changed the exterior of our books. And by introducing the same day digital aspect, it forced us to rethink our production process. We were faced with a lot of delays. And we were losing loyal fans who were coming week in and week out because the books weren’t there. And we had to make a new commitment to deliver our product on time. People said to me, “How’d you let things get so out of control?” It’s like one day waking up and you’re 30 pounds overweight. You’re not exactly sure how you got 30 pounds overweight, but you know you didn’t eat 30 pounds of food the night before. It just happened. We’re trying to fix that: We identified where our weaknesses were and we attacked them on every level. And the response that we got to the first months of books shows that what we are doing were the right moves to make. Lee: It wasn’t any specific moment, but I think that you’re reading the comic books and you get to a point where you go, “Wow, I didn’t get much of a charge out of this.” That’s a problem. Sometimes the stories would be so involved in their back history, that you would read it and go, “I kind of enjoyed it, but I’m not sure exactly what happened.” And the focus wasn’t on the main characters, it was more on continuity changes or other elements that were almost superfluous. And so I think that part of our desire was to kind of to get back in and readdress the art of storytelling. What makes for a great comic book? What can we do in comics that we can’t do in other mediums? Was there sort of a unified creative directive going through the whole process? Lee: The main mission statement was, “Be bold. No fear.” And at the end of the day, no one is going to die from our poor decisions, right? [laughs] I think this should be a fun business. You are telling imaginary stories using brightly colorful characters. It’s epic good vs. evil. You should be having fun with this stuff. You shouldn’t feel trapped by history and tradition. That’s not what created these characters. That’s not what the well of energy and inspiration that created the DC Universe and I think that was something that we always had in the back of our minds. A reader has to be compelled by the content, by the cover, by the characters, to buy something. DiDio: We wanted it to feel like it was brand new. There were some goals: We didn’t want to retell origins. If you’re taking past continuity then it had to have a purpose, have a reason for the story, not something just to stick in there because it happened before. We didn’t want to take any character for granted; we wanted to make sure that they were used properly and took the time to develop them, and make sure we took the time for everyone to understand who they were so that we weren’t working off old muscles on how people anticipated characters to act and behave. We had to explain it in the storytelling so it was justified to a new reader. How did you decide which books would come back and with what creative teams? Lee: We were making index cards with all of the creators’ names and all the characters; we just had this big board where we put up all of these cards and it was sort of “mix and match.” A lot of time was spent in that room. There are no windows in that room, by the way, and it fits, like comfortably, two people, and we put six editors in there, we’re all sitting there shoulder to shoulder. DiDio: There was a moment there where we had all lot of very familiar names on the schedule and it didn’t feel fresh. Every team that was assembled should create a question of what this book could be about. If you just kept on assembling the same people with the same books, you already have a pre-proven package, and we really wanted to mix it up. We wanted to take some risks and we wanted to make people think about a book rather than already have a judgment based upon something that existed before. Unless of course it was a team that we knew was a slam dunk or had success on a character in the past. So it was a real interesting mix; it was a constant discussion. So it was constantly evolving, and actually in some ways still evolving. Any unforeseen issues that came out of this whole thing? DiDio: Every day [laughs]. As a matter of fact, we’ll leave this room and have some unforeseen issues as soon as we get out of here. Lee: That’s just publishing. Its 52 books; at minimum you’re looking at a couple hundred people involved in the creative process. If you know the game telephone, you know how messages get changed as they pass though different hands. That’s part of it. It’s a huge logistical undertaking, right? Taking all of these people and pointing them, hopefully, in one direction. There might be certain days where it is just a whirlwind of chaos. DiDio: It’s a fun chaos too. Because ultimately you see the final product when it comes out. And we’re probably the harshest critics, so we look at everything with a very critical eye and we’re always trying to strive to be better, and we get frustrated if certain pieces aren’t there. In my case I get really excited when I see something that I really enjoy that I wasn’t expecting. But that’s what really gets me going because it shows that these things are really starting to come on and take a life of their own. Lee: There were things that happened in terms of costumes or where people were drawing incorrectly. You’re introducing new designs to all of these different people, and people were working off prior conceptions of what these characters were. When I was drawing Superman I would draw him in his mid-30s and I had to force myself go younger and younger. I kept thinking draw Superboy and I’ll get closer to where he is supposed to be, somewhere between Superboy and the prior Superman. And those are kind of mental changes you have to make as a creator, and I imagine that was pretty true across the whole line of writers and artists. It’s amazing how entrenched some of these ideas are in our collective consciousness. DiDio: It was an interesting experience and it was extraordinarily exhausting for everybody, but everybody understood that we were doing something special. One of the things that was good with the level of success of the first issues was we could actually turn back to everybody and see that it was actually worth it and let’s stick to it. The response was an incredible motivator for a group that was extremely exhausted after this marathon just to get to the first issue. On the flipside, have there been any surprise benefits? Happy accidents? Lee: On a continual basis [laughs]. Creating and producing creative work, to me those are all happy accidents. There is the intent of the writer and the interpretation by the artist. What the writer intended and what the artist interprets is not a 1-to-1 translation. It’s a crossing of ideas that generates the stories that you see in print. So to me it always feels like a happy accident. I think there are certainly some books that have broken out of the pack, books that have excited us in a way that we didn’t necessarily think they would. The reaction of the fans to books like Animal Man or Swamp Thing has been tremendous. Even Wonder Woman who is an iconic character, the reception to the new origin that Brian Azzarello and Cliff Chiang came up with has been a real–it’s not a surprise because we knew we had great people on it, but the fact that they loved it so much was really cool. How much consideration was given to how it’s going to affect movies, games, or merchandise? Lee: This was a publishing initiative and we wanted to do what was best for the characters in the publishing sense. Usually when you go out to video games or movies they are going to pick and choose what to be inspired by, and they are going to do what is best for the game or the movie. So you don’t want to second-guess yourself and try to deliver something that they would use 100%. You want to do what’s best for the characters. To the extent that people love it and want to use the designs or some of the story lines, great. But at the end of the day, we were really focused on what’s going to keep the DC Universe vibrant and exciting in the world of publishing. DiDio: I feel very strongly about that too–in a time where we see video games and movies really taking the basic conceits of comics and expanding them and visualizing them in such exciting ways, we shouldn’t be quiet. We shouldn’t be letting them lead us. We’ve got to lead them. We’re the source of inspiration. So we’re got to continue to inspire, and the only way we can do that is to be bigger better and bolder than what they are putting into movies and games. Those are a lot of the things that went into the building of this whole plan. Have the sales numbers been a vindication for the relaunch strategy? DiDio: Vindication is the wrong word–maybe celebration? If you want me to be honest, we never doubted it because we never looked back and we were always moving forward. So we always felt that we had to do something and we had expected some growth on this. This has exceeded everything that we thought, which gives us a better spot to be working from. But it is no means to say, “That’s it, we’re done.” It’s more about looking towards the future to make sure that those people that sampled all these books are still interested in what we are creating a year from now, or two years from now. Are there some things that people aren’t picking up on out of this whole process? DiDio: This has probably been the most reviewed project that anybody has ever seen. When you look at somebody reviewing–not just one person, but groups, and blog sites–all of these people reviewing every single book that you put out in a single month, it’s pretty exposing. But you know what, we were ready for that challenge. We’re self-aware enough to know that when you put 52 books out there are some things that aren’t going to work, there are some things that need to be replaced, and there are some things that just aren’t going to click with the audience. But I think what this allows us to do is to be more aggressive and take more risks in the second wave books. Lee: We can all produce one or two hit books, pair some top creators on a popular character; it’s a lot harder to do it across the entire line. There’s an unprecedented level of excitement by the fans. You go on YouTube and there are people holding the comic book and talking about why they love that comic, and they’re doing it for every single book that’s coming out. So you see that you achieved this holy grail of people getting excited about the entire line. I think it speaks well of the future of comics; it speaks well of the future of the DC Universe. Like Dan says, this is just the start of the beginning and we have some really cool stuff lined up to follow up with and some other key publishing initiatives that we will be unveiling. Note: This interview has been edited for content, clarity, and length. Can Comics Make The Leap To Digital In A Single Bound? Grant Morrison Reinvents Superman; Can He Rescue DC Comics? Follow author (@khohannessian), video producer (@adambarenblat), or Fast Company on Twitter.